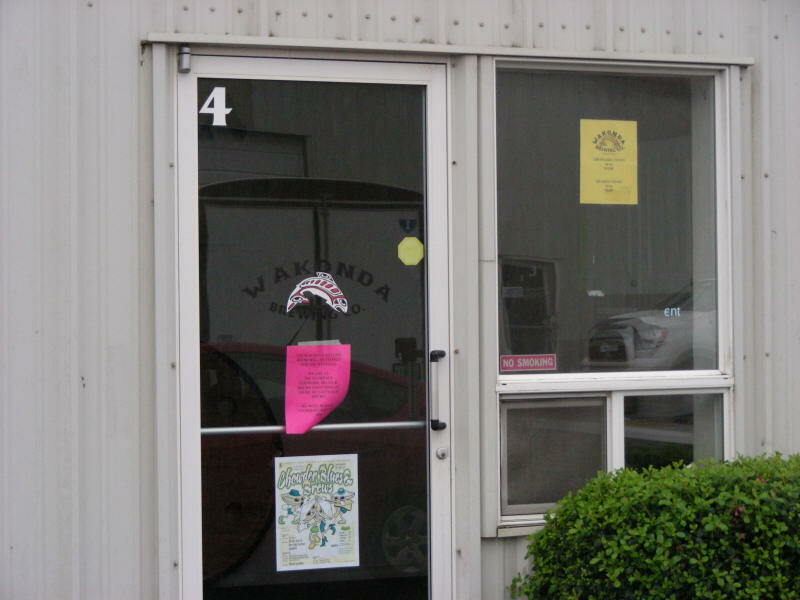 The tasting room for Wakonda Brewing is in a small warehouse-like business park (the actual brewery is in Dunes City). 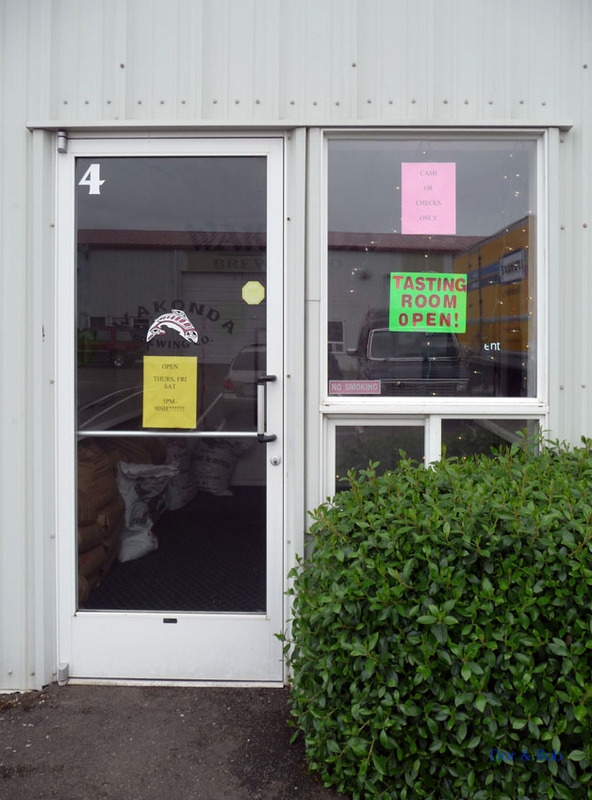 It's easy to miss the tasting room as there's only a small sign on the street and you can't otherwise tell it's there. Inside it really is a warehouse with a huge garage door. 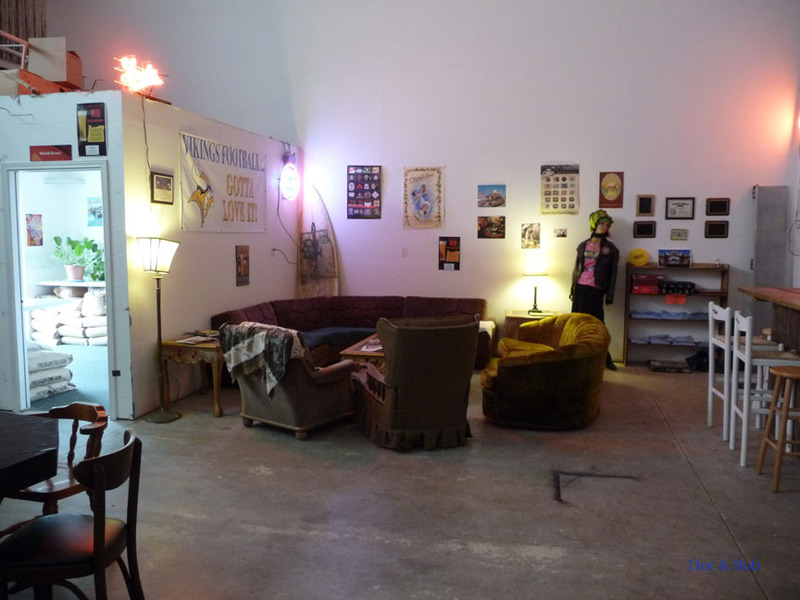 The feeling is college dorm lounge - concrete floors, miscellaneous old stuffed chairs and couches, one wooden table and chairs, and a wooden game. The bar is made from one foot wide stained wooden planks with unpolished planks underneath. However all three beers we tried were good (the fourth tap was not on during our visit) and the service was friendly, so we'd easily go again. 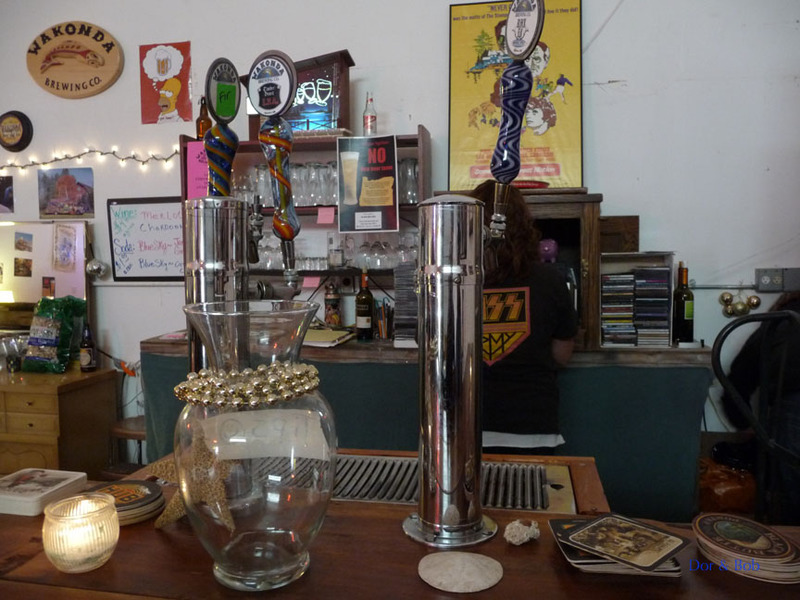 Timber Beast IPA, Black Elk Stout, and Firthur Pale were the three beers we tried. 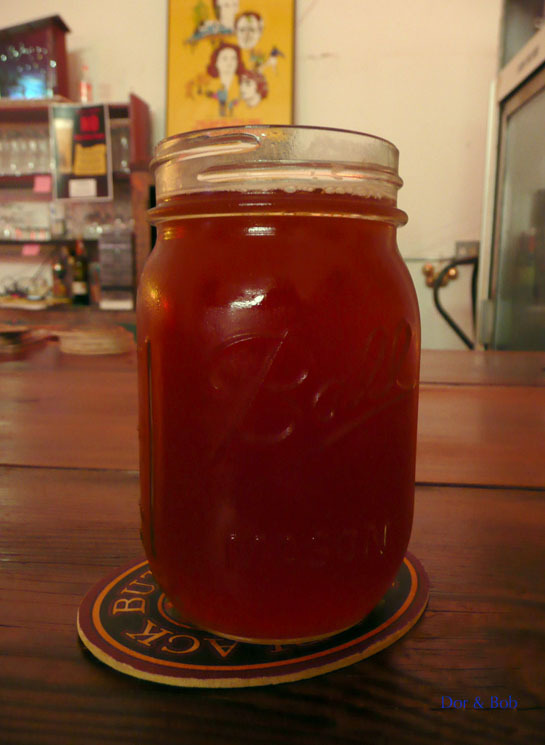 Beer is served in Bell mason jars instead of the usual pint glasses and you can get beer to go in the same jars. It was quiet on an early Saturday evening; Thursday is apparently the big night and they also have live music a couple times a month. They are (at least in summer 2009) only open from Thursday to Saturday from 5pm to about 9pm. The speculation is over. They do exist and they are open for business and I am proud to say they are opening a tasting room. Just this past few weeks they have ha d limited hours. Starting on July 31st they will go to Thursday thru Sun 11:00am until 6:00pm for tasting room hours. I missed out on this due to the Oregon Brewers Festival so the brewers where out of town. But it was good to see they where open and they do have beer flowing. 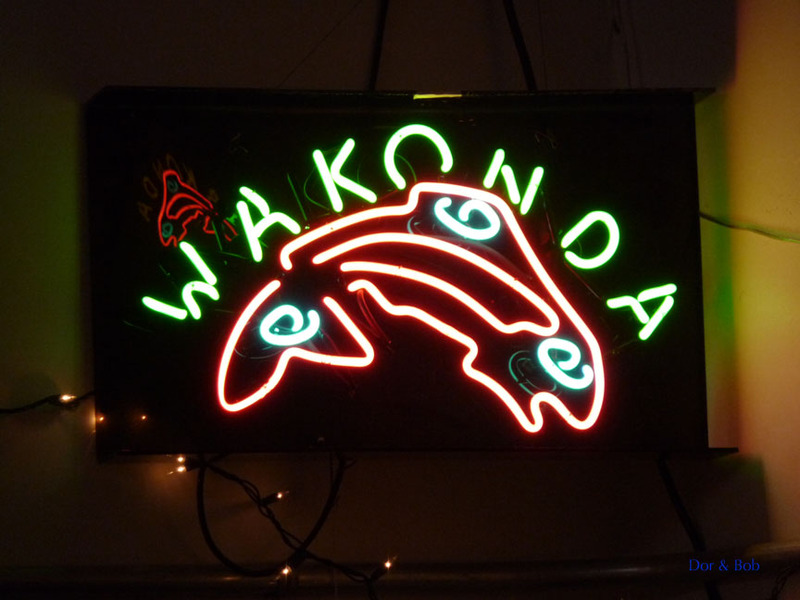 I found some of the styles a cream ale and IPA at a local water hole and they told me more about Wakonda. The Beachcomber down in the Old town actually is like the special Wakonda beer place. They make special beers for the Beachcomber. Word is soon they will be bottling. I will try to make contact and see what I can find out.